A t-shirt dress is a staple for every woman’s wardrobe. 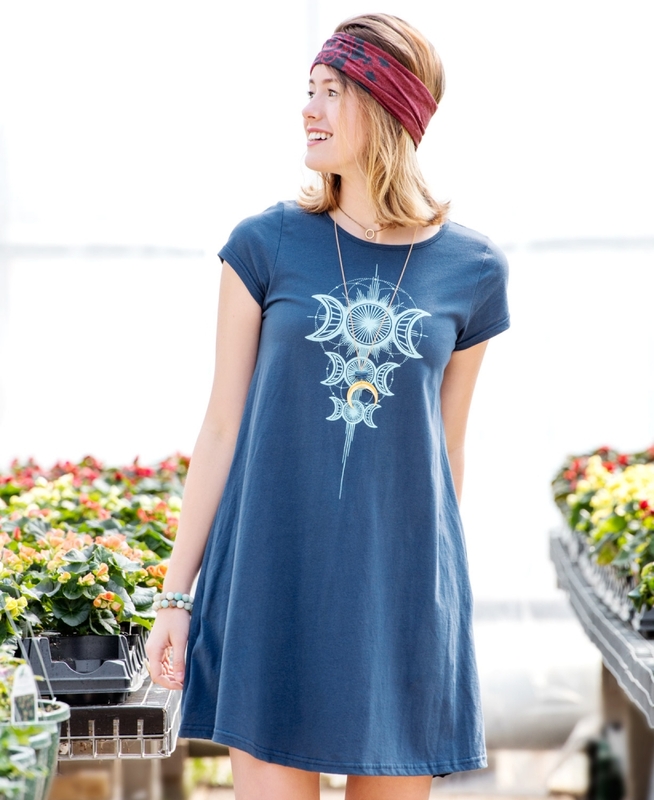 If you are located somewhere hot, you definitely want to consider getting yourself a Soul Flower cotton t-shirt dress made with an organic cotton fabric to breathe for warmer days. 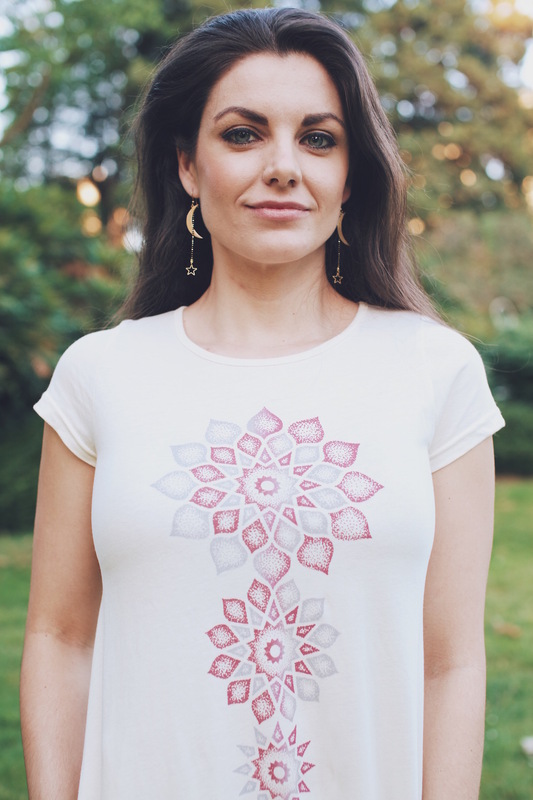 I’m wearing the Eternal Bloom Midi T-Shirt Dress which is made with a soft organic cotton, low impact dyes and is made in the USA! The flowers featured on the dress are hand drawn and represent regrowth and renewal. I’m wearing a size S in the photos. We agree with you, Rachael. 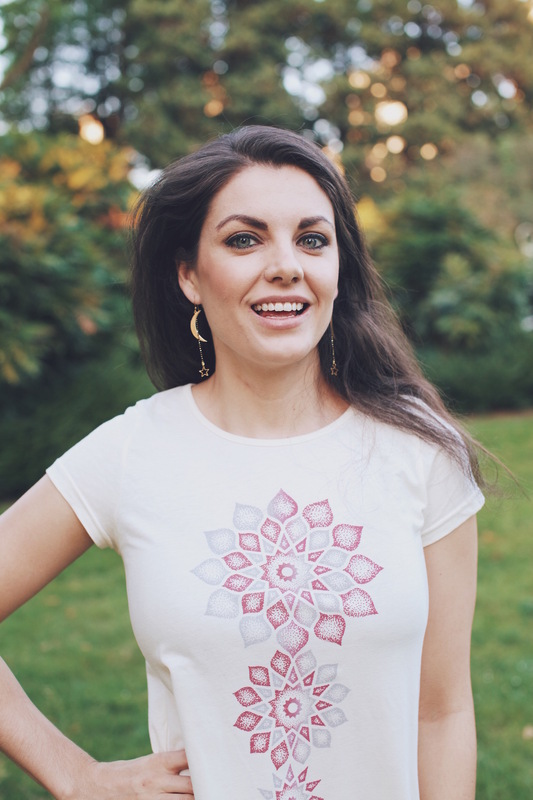 This is one of the best t-shirt dresses around because it fits all the things you want in a cotton t-shirt dress: It comes either non-printed or screen printed with unique graphics. It is super soft. It fits a variety of body types. And one of its best features is POCKETS, which are perfect for carrying just the essentials in the summer. Shop more looks of the our organic T-Shirt Dress below. And remember to take us with on whatever adventure your summer throws at you!